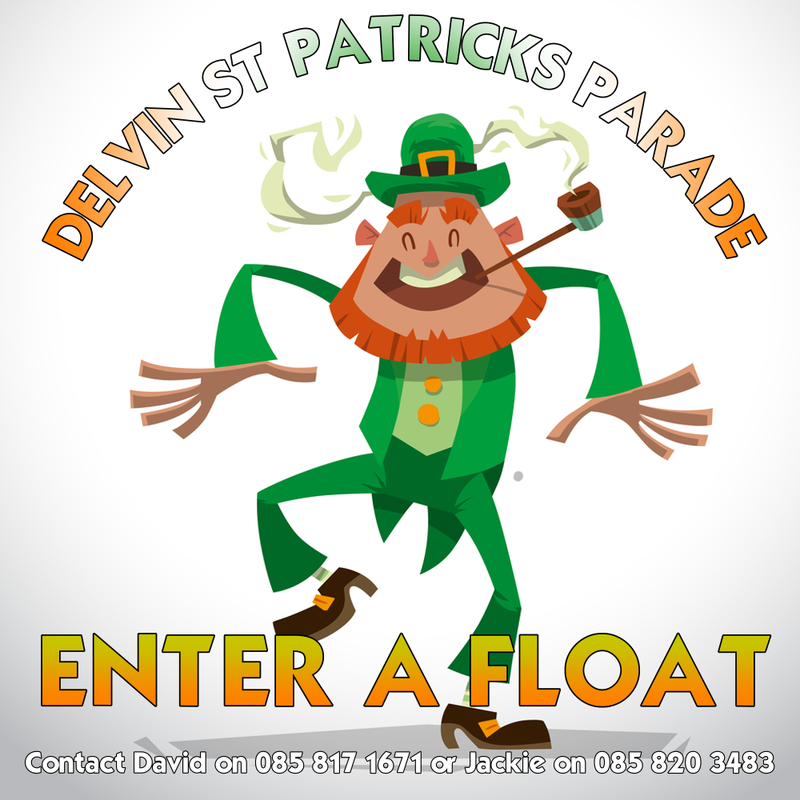 It will cost you NOTHING to enter a float in this years’ Delvin St Patrick’s Parade! The Parade will take place on Monday 18th March at 3pm so get thinking about what YOU could bring to this year’s show. Think BIG! Think COLOURFUL! Think NOISY! Think FUNNY! For further details and to register your float, contact David on 085 817 1671 or Jackie on 085 820 3483.